1. Roasting adds a smoky touch from the charred skin. 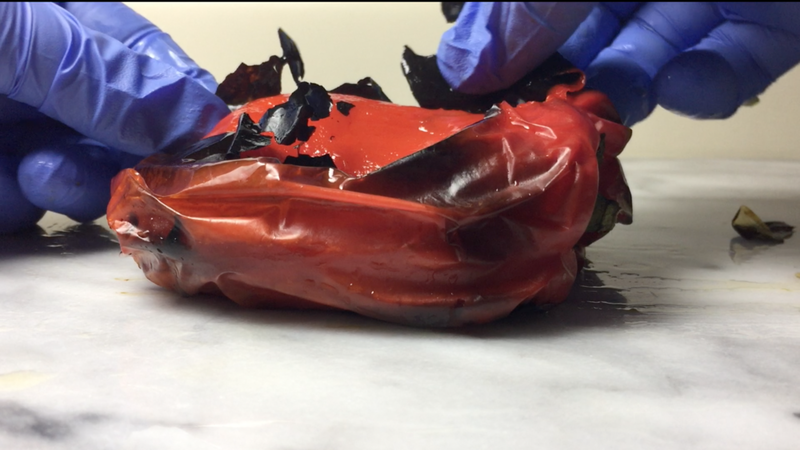 The waxy skin of peppers burns up quickly in the oven, acting as a smoky shell for the flesh. 2. It enhances the sweetness. Ripened bell peppers (red, orange, yellow) are already sweet when they're raw, but other peppers like poblanos, jalapeños and habaneros are decidedly not. Cooking breaks down cell walls, making the sugars much more noticeable. Cooking for a long period of time breaks things down even more, allowing them to react and intensify into more complex flavors. 3. Both the flavor and the texture get richer, which is great for hearty dishes. Bringing out the oils and juices in the flesh of peppers makes it easier for your mouth to detect all the flavors. 4. The flavor intensifies, but the piquancy softens. Piquancy is the sharpness that leaves you fanning your mouth and reaching for crackers after you take a bite of a raw hot pepper. Roasted peppers are still spicy, but in a more palatable way. 5. All of this goes double for green peppers, which are unripe. Imagine eating a green bell pepper. It's crunchy, a little astringent and you taste a lot of... green? That's gonna be our chlorophyll. Some enjoy it in raw peppers. Great for photosynthesis. Not so great for chili. I'm sure I'm leaving something out, but I think those five enhancements make a pretty strong case. 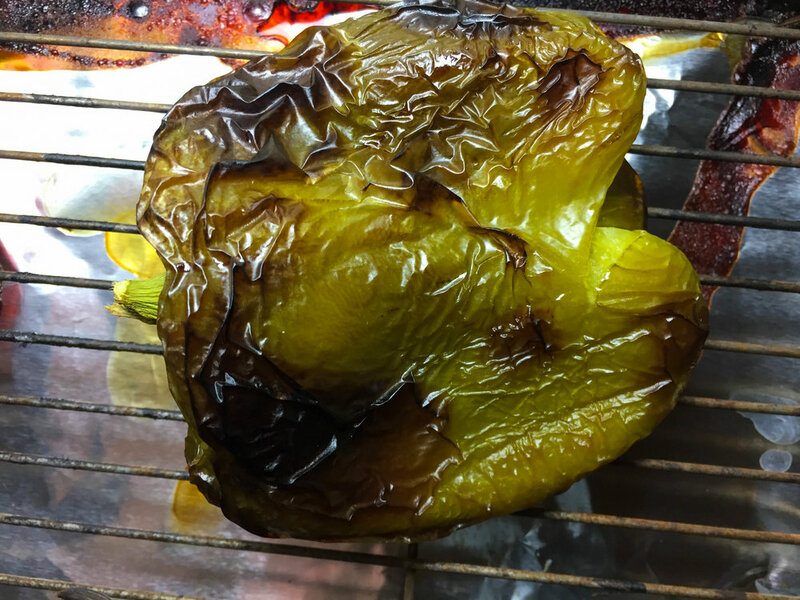 Some people like to roast peppers over an open flame on a stovetop. 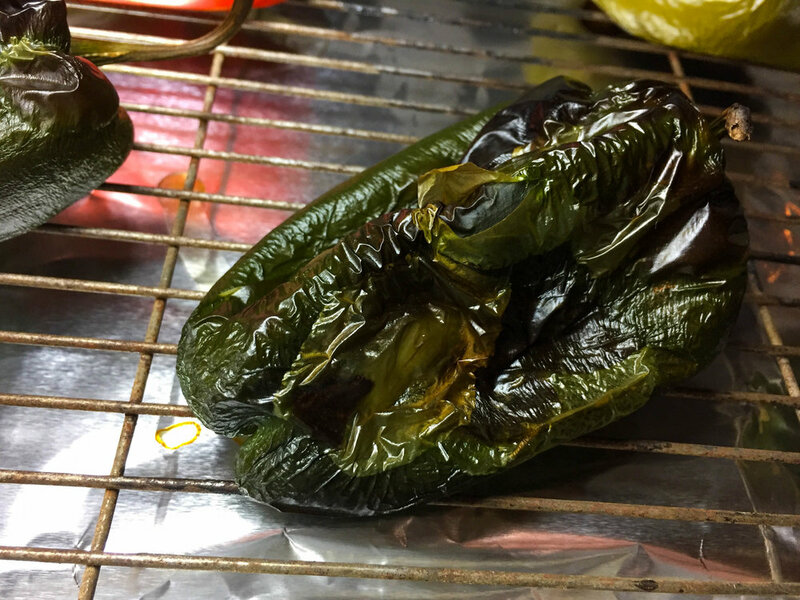 Some people like to grill peppers until they're charred. Great methods. Probably quicker. But who has two thumbs, no grill and an electric range? So what's a cook to do? Turn to the broiler. Yes, that button on the oven that's mysterious to people who don't cook, scary to beginners and a God-send to people who cook regularly. Fun fact: broiling is actually a form of grilling. Both are forms of dry heat that work through radiation. So now that we've got the why's out of the way, let's move on to the how. This method works best for large peppers like poblano and bell peppers. I've also tried it with jalapeños and habaneros, but they’re a little different. You have to watch them more carefully. The flesh is thin and will burn up easily, so reduce the time and watch more closely (noted in recipe). Stick around after the recipe for some suggestions for using roasted peppers. Total cook time depends on number and type of peppers used. A starting point for 4 bell peppers is about 1 hour and 30 minutes, depending on skill level and oven efficiency. 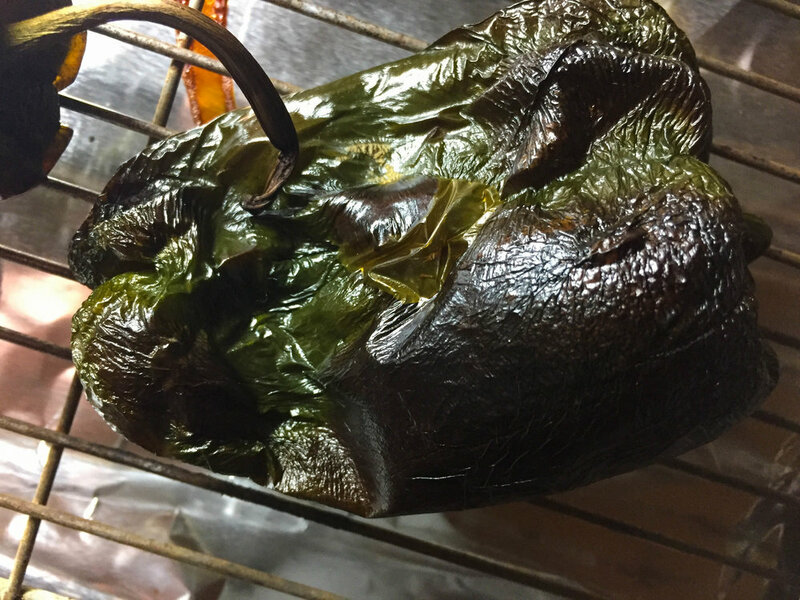 This includes about 15 minutes of active prep, about 45 minutes of passive cooking and 30 minutes to cool before peeling. One large bell pepper yields about 1/3-1/2 cup roasted peppers. 1. Place an oven rack on the highest shelf below the heat element. Preheat to 400º F.
2. Meanwhile, line a large baking sheet with foil. 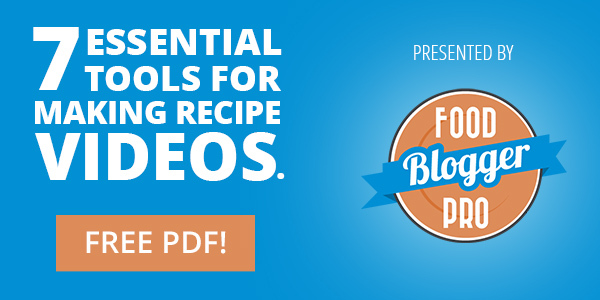 Place a baking or cooling rack on the sheet. Lay all peppers on the sheet, spaced equally. 3. Once the oven is fully preheated, insert the peppers. Turn the broiler function of the oven on, and set it to high. Allow to cook until the skin on the top half is black and blistered, 10-20 minutes or more. This will vary for different sizes, types, and ovens. For small peppers such as jalapeños or habaneros, decrease the time and watch the carefully. 4. 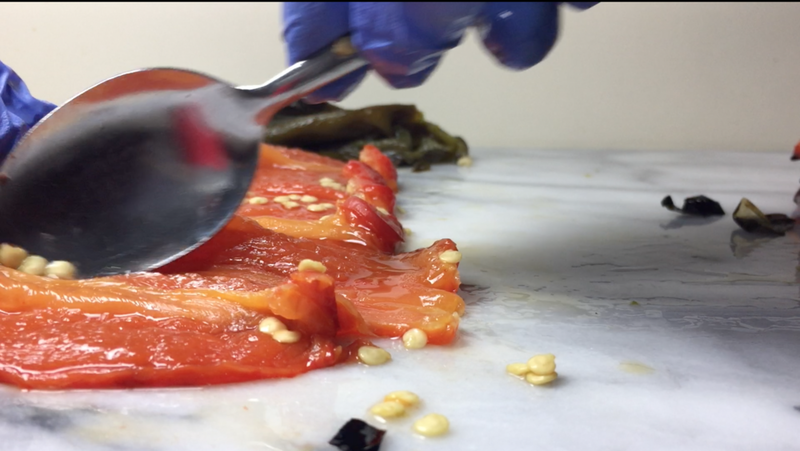 Using tongs, turn peppers to roast all sides evenly. Continue turning until the skin on all sides is charred. If you're cooking peppers of different sizes, feel free to remove faster-cooking peppers early so they don't burn to a crisp. 5. 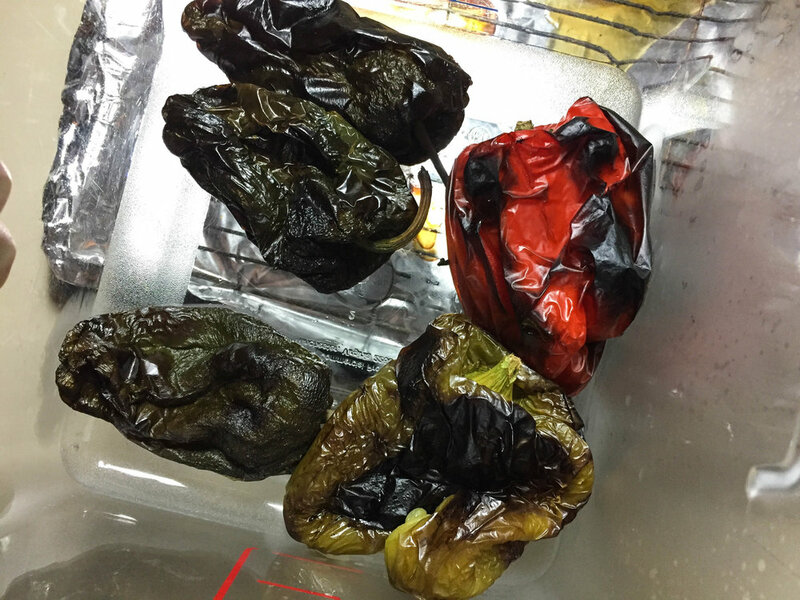 Remove peppers from oven. Using tongs, carefully move peppers to a large plastic container or bowl, and place a lid or plastic wrap on snugly. 6. Allow peppers to sit for half an hour, tightly covered. The steam will help separate the skin, making it easier for you to pull off. 7. Carefully open the lid and move one pepper to a cutting board. Replace the lid immediately. 8. Wearing gloves, pull off as much skin as possible. You can use a knife to help you lift and scrape off difficult parts, but you shouldn’t need it much. Remove the stem, open the pepper up, and remove the seeds using a spoon. 9. Repeat step 8 for all peppers. Use peppers immediately, or refrigerate up to a week. - Watch closely. Really. Times will vary by oven and pepper. Constant vigilance! 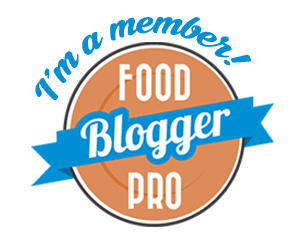 - Get the skin as black and blistered as possible without burning the entire pepper. The more bright color still on the skin, the harder it’s going to be to pull off. - Don’t skip the gloves! Pepper oil will get on your skin and nails, and it will stay there for days. Even if it doesn’t make your hands sting, it will definitely make your face, eyes and any other sensitive areas sting when you wash! - For stubborn seeds, gently run water over the pepper to remove. Don’t rely on this too much as it will take some of the oils (aka flavor) with it. - Some people like the skin on red, orange and yellow peppers. If it doesn't bother you, turn as soon as the skin begins darkening, and remove the pepper from the oven before it blackens. Use them for chili. I swear by this. I tried it once as an experiment and I will never go back! Blend them into a sauce or even a salad dressing. Red pepper vinaigrette is one of my favorites. Throw roasted red bell peppers on a salad or over eggs. Or over a salad with eggs. Add to a pan with sautéed onions and garlic, then toss with pasta. Alternatively, use cooled roasted peppers to spice up a pasta salad. Stuff chicken with strips of roasted pepper and cheese. Mix with melted queso chihuahua (quesadilla cheese) for a smoky dip. Those are just a few things I've made and ideas off the top of my head. What are you going to make with roasted peppers? Tell me in the comments! 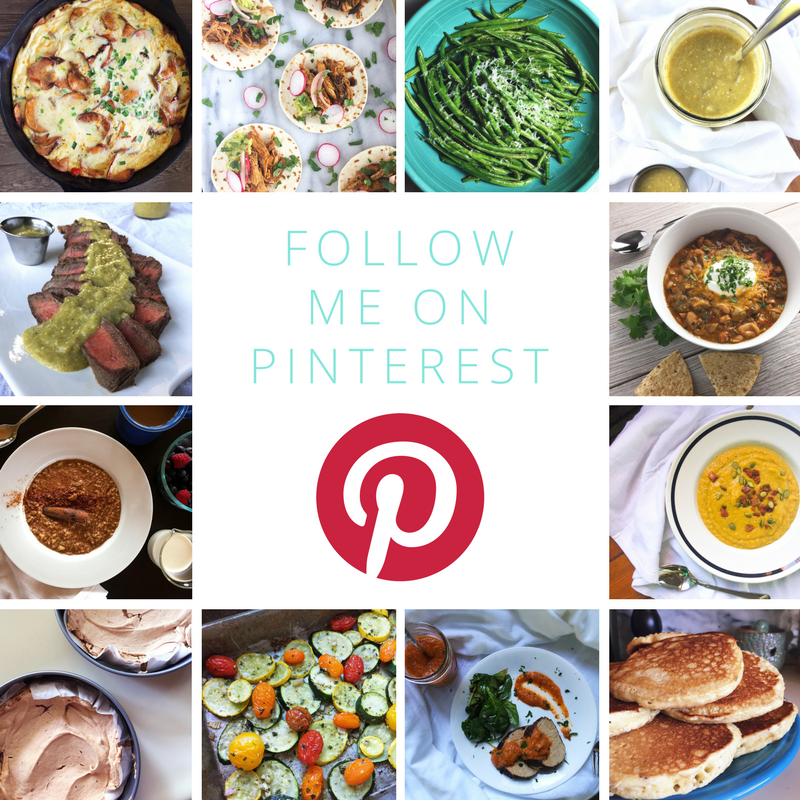 Join my VIP list below to get more roasty-goodness, updates and a freebie to help you get the recipe right, every time. 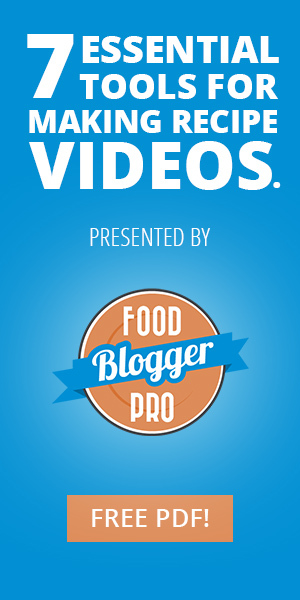 Sign up with your email address to receive news, updates and a freebie!